HIPAA, the Health Insurance Portability and Accountability Act, is a federal law enacted in 1996. Some of the broad aims of HIPAA are to allow employees who change or lose a job to transfer or keep their health insurance and to reduce health care system abuses. HIPAA is also designed to create standards for all health care providers and health companies for how health information is handled, including the electronic manipulation of medical information and bills. A strong consumer purpose of the law is to require that health information be secure and confidential. 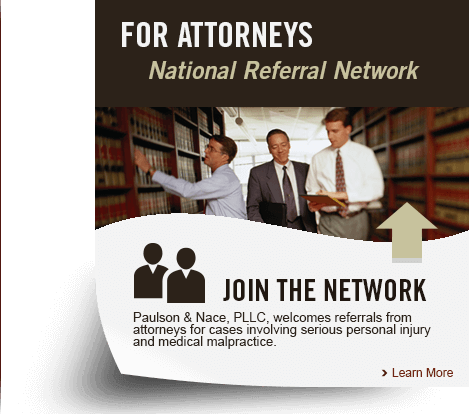 The consumer protection lawyers at the law firm of Paulson & Nace, PLLC, in West Virginia know all aspects of the law including patient privacy rights. The patient protection part of the law requires that health companies design procedures to ensure that the protected health information (PHI) is secure no matter how it is stored – by paper, orally, or digitally. HIPAA also mandates that only the medical information that is necessary to service the patient is used or shared. Right to access. Patients can request to view and inspect their medical records. Right to change records. Patients have a right to ask that incorrect information be corrected or to add new information when the old information is not accurate. Right to ask for disclosures. Patients can request to know who has received the medical information on file. Right to request restrictions. Patients can restrict what disclosures are made. Right to confidentiality of patient information. Health patients can also request that health providers communicate with a patient in a specific way or a unique location. A patient also has the right to be told how they can complain if the patient thinks the medical information is being disclosed improperly. HIPAA does not provide a direct remedy for violations of the act, but West Virginia residents may be able to bring a private lawsuit for negligence. The lawyers at Paulson & Nace know it can be demoralizing and embarrassing for others to learn about your illnesses, injuries, and medical concerns. Our West Virginia consumer protection lawyers know how to protect your consumer privacy, including your health privacy. We have this knowledge due to our 40 years of practice representing patients in medical malpractice and personal injury cases. Our experience means we understand how the medical field is supposed to work including how information is prepared, stored, and disclosed. We know when a disclosure is unwarranted. Our privacy lawyers know how to protect your information and hold violators accountable. At Paulson & Nace, we sympathize with patients who have many concerns about their medical situation. They want to get better, but they also want to control what information is released, to whom it is sent, and when it is disclosed. If you think your medical information is not being handled properly, please call a lawyer at our West Virginia law firm to discuss your rights.